Sony has announced a big price drop for the PS3 in the UK. The 60GB model which launched here back in March has been reduced by £76 to a recommended £349. Sony has also announced plans to launch a much-rumoured 40GB PS3 which will go on sale in the UK for just £299, the same as the Xbox 360 Elite. The announcement means that when the 40GB model goes on sale on 10 October, you'll be able to get a PS3 for 30 per cent less then you can today. 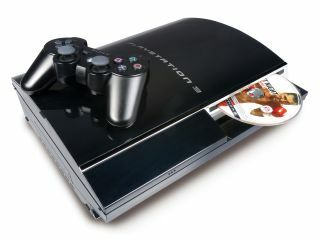 It's the first time since launch that Sony has reduced the PS3 console's retail price in the UK and Europe. It has had price reductions elsewhere in the world, but now the PS3 can finally start to compete on price with Microsoft's Xbox range. The 40GB PS3 will launch without backwards compatibility and the front memory card slots, and with only two USB ports for charging wireless controllers. But apart from the obvious reduction in storage capacity, it's essentially the same console as the 60GB version - just cheaper. At £299, it costs the same as the Xbox 360 Elite console, making the PS3 an ever more attractive purchase with the Christmas season fast approaching. The £425 recommended retail price has scared off many potential buyers in the past, but this new price point can only be a good thing for everyone. You can be sure that you'll be able to pick up the 60GB console for less than that £369 price tag too, so even the full PS3 package will be a more attractive option. When you consider the built in Blu-ray drive and Wi-Fi connection, the PS3 is actually starting to look like it's better value for money then the Xbox. That's assuming you want to watch HD movies and connect wirelessly to the internet, of course.